E Cigarettes in Australia - Can I Buy Electronic Cigarettes In Australia? Why can’t we buy electronic smokeless cigarettes in Australia with nicotine in them? – Well, now we can! Quick update (April 2018). You can. See my explanation page on how you can buy e-cigarettes and have them sent to you here in Australia HERE. I personally can’t understand why the fuss about e cigs. I have now stopped smoking real cigarettes and only use vapour cigarettes and I don’t miss the real ones at all. My health feels much better and I have the satisfaction of all the little habits being fulfilled that I never got when I tried gums and patches. People ask me “Where can I buy e cigarettes in Australia?” when they see me using them. Unfortunately I have to reply “Only online“. But why? I enjoy the e cigarettes even more than the regular cigarettes that I used to smoke them. Electronic cigarettes give me that experience and the nicotine I am addicted to also. Yet I don’t inconvenience anyone when using them the way I did with my smoke when I smoked real cigarettes. And I don’t stink like an ashtray anymore (or cause the environment I am in to smell like an ashtray either). In fact electronic cigarettes have no smell, and don’t even leave butts or ash where I go. And yet I cannot physically buy them in Australia. I am not saying that electronic cigarettes are a Nicotine Replacement Therapy (NRT) product that stopped me smoking cigarettes. But I did notice that when I started using them that I stopped smoking real cigarettes. Perhaps it was just a coincidence. So, why can’t we buy them over the counter in Australia? “Unlike Nicotine Replacement Therapy (NRT) products, which have been rigorously assessed for efficacy and safety and, therefore, approved by the Therapeutic Goods Administration for use as aids in withdrawal from smoking, no assessment of electronic cigarettes has been undertaken and, therefore, the quality and safety of electronic cigarettes is not known. “the impact of wide scale use is unknown” : well so is the long term impact of the wide scale use of mobile phones on health and all kinds of other prodcuts too! Does that stop mobile phones being sold? It’s a personal choice. And so people do go online and buy them from overseas from reputable manufacturers with stringent quality control and safe levels of nicotine. And we do know the impacts of wide scale use of real cigarettes on health: just read what the government warnings state on the packets of real cigarettes. Personally, I wonder how inhaling water vapor with nicotine in it can be more harmful than smoking a combustible cigarette with over 3,000 toxic chemicals in and then inhaling the actual smoke (not water vapor) containing tar residue etc etc ? I mean, I am just wondering? “Our company was born out of a need in the market for higher standards, better made products, and being able to serve the customer with a higher caliber set of options when it comes to electronic cigarettes and personal vaporizers. With a long history in the electronic cigarette industry, and a keen understanding of what our customers are seeking, we understand what is needed to take this industry further. Top of the line e-liquids. American-Made = Awesome. Our nicotine e-liquid is always 100% made in the USA, for the very best in potency and manufacturing standards. Our liquid base is comprised of “USP Grade Kosher” materials. Our glycerin is of the purest standards, sourced from Malaysian palm so it is free of peanuts, in addition to being diacetyl-free. Our juice goes far beyond food grade, they are designed to be inhaled!” – so… not “Made In China” right. So they haven’t actually ruled against them in any way. So, you are an adult, you are capable of making up your own mind. Of course everyone would agree that we don’t want electronic cigarettes being used by children to get them adicted to nicotine. That would be awful. And THIS is why electronic cigarettes have not been made widely available in Australia. But what about the people who want to try this alternative? Don’t they deserve a chance to try these products themselves, to see if it is possible to enjoy the habit of smoking, but not with the harmful effects of inhaling smoke – just water vapor! 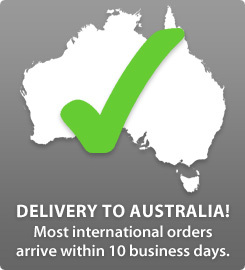 Can you buy e cigs online in Australia and have them sent to you? But you may save your health… the cigarettes you are probably smoking today, well, just read the packet. Again, you are an adult and if you are not intending to import them to sell and supply them then why would you need a license? To find out more visit http://www.vaporfi.com or look at our reviews of the top brands of e cigarettes available online. Australia could become the first major nation to outlaw smoking, with a federal government-funded trial about to test the viability of electronic cigarettes as a safer, permanent replacement for tobacco. Medical experts, cancer groups and anti-smoking lobbyists battled for decades to rid cigarettes from public spaces. ”E-cigarettes” are battery-powered devices that simulate the effects of smoking by heating a nicotine liquid into vapour, which the user then inhales and exhales.While the gadgets have been hailed as a safer substitute for cigarettes, there is no comprehensive scientific research into the health risks of inhaling vapour. The Sun-Herald can reveal that as part of its anti-smoking reform agenda, the previous Labor government committed more than $1 million to a pioneering study that, by 2015, will determine whether or not e-cigarettes could be utilised to phase out traditional cigarettes altogether. But while Labor took on ”big tobacco” in the High Court to introduce world-first plain packaging laws and vowed to ban all political donations from tobacco companies, it is uncertain if the Coalition is equally committed. And furthermore a recent article in the BBC suggested that in terms of saving lives globally, e cigarettes could be more impactful than any health development since the discovery of vacination!! Here are is an overview of some of my reviews of e cigarettes that can be bought online click here .